This entry was posted in Announcements, Hypergrid Adventurers Club, OpenSim, Virtual Worlds and tagged education, HyperGate, HyperGrid, Hypergrid Adventurers Club, innovation, online communities, OpenSim, opensimulator, virtual worlds by John "Pathfinder" Lester. Bookmark the permalink. > 2) not wasting time trying to connect to places that are offline. I love that feature of the newest Blamgates by Shaun Emerald. Shaun continues to do a great job updating them, and I really like the metaphor of physical gateways inworld. 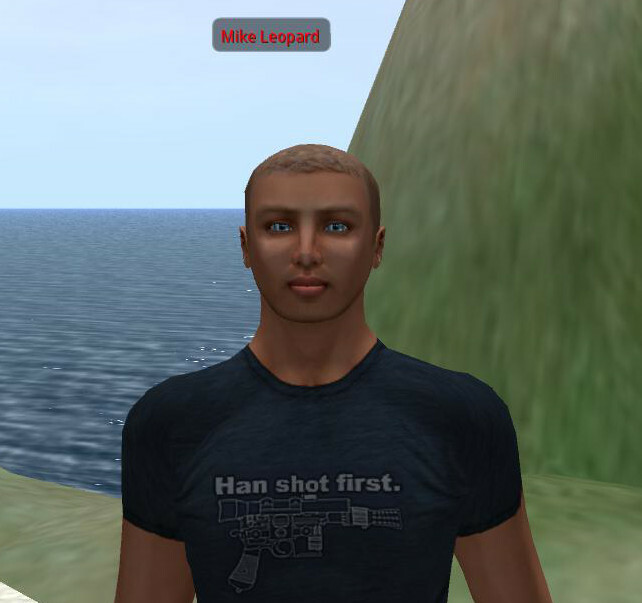 http://search.metaverseink.com/ has been available for as long as Hypergrid has existed and it doesn’t require an http-box on every region to send data. The search engine polls the servers and shows when regions are offline. It lists every region on each server too and it is enabled by default. I’m not sure but I think Hyperica uses the same method to poll servers to build it’s own list. You can put the address in viewer’s browser too prior to login and find places to go then it will open the splash/login pages in the viewer window. Once in world you can open a browser window to search more destinations and hitting the links brings a Landmark up to use to teleport. Metaverseink is included in Diva distribution. There’s not instructions on how to sign up if your not using that distribution as far as I can tell. It seems to be using modules included (or added to) that specific distribution. I suppose you could email her to add it but you’d still be missing those modules if your distribution wasn’t set up for it. Also it seems this listing doesn’t provide a number of people on this list nor the sims (voluntary) region maturity. This is because you have to have an object on the sim in order to gather this information as far as I know. As far as I know Hyperica hasn’t yet implemented this feature but plans to using an in world object that queries all the sims at once? Which may or may not scale well. It would depend on how she sets that up I suppose. We were discussing it and it seems she has a few ideas for it. The thing is were not attempting to replace those so much as to make our system simple to use with out much form filling. Were hoping this encourages more sign up. Thanks for commenting, Maddy. I’m glad you’re helping Mike on developing and testing this new service. Gaga, yes, I know about http://search.metaverseink.com and think it’s a great service. But as Maddy said, it appears to be only a Diva Distro system, and I can’t find much documentation about the service on the website. It would be fantastic if such a system were built in to every flavor of Opensim. It’s not just in the Diva Distro. All you need to do is configure the [DataSnapshot] section (see OpenSimDefaults.ini) in your OpenSim.ini file, and your data can be sent to metaverseink.com. To help the iDreamsNet guys, I’ve also added one entry for our semi-private grid (it means that it can indeed be visited, but the public areas will be of little interest to most people, lol, since the goodies are allegedly only accessible to customers…). I never knew that MetaverseInk was supposed to be “just a Diva thing”! I never used the Diva distro (except once to test it out), and have been using MetaverseInk it for eons, I can’t even remember when I started pushing information to them, and they’re definitely there… However, I have no idea how good/complete/accurate it is. It certainly lists some of our regions and has always listed them, and it lists a few objects, although I have no idea what the criteria for listing objects is. Perhaps something has changed recently which prevents new updates, but getting it updated used to be as simple as @sterickson describes above. That’s the configuration we use to publish things to MetaverseInk. The [DataSnapshot] section was in Core OpenSim before there was a Diva Distro, I think, and as far as I know, MetaverseOnk is not just for her distro. Looking forward to this with the updated visitor list as it something I had always hoped that thehypergates.com would have included with the hypergates gate. This feature will really help the Hypergrid to become a mainstream alternative to Grids imo, although I do hope that iDream will be including a function to incorporate “minigrids” (personal grid setups) in its ‘phone home” app, as I see more people moving to that sort of configuration. hypergates are passing and some people are making their own solution on their side. the way that most of these systems are using makes me think about the early ages of the www in the 90′s when you could see on a website a lot of links to directories until the rise of the web crawlers. if there are 5 hg directories, will people host on their region or parcel every terminal pinging each server every n seconds and need to update the objects scripts on every update ? the metaverseink solution is based on the datasnapshot module, so if we would like to be referenced on different engins, should we need to implement every region module for every search engine ? without denigration because i like the effort of the people to make open source code and try to help hypergrid visitors, i think that this is JustAnotherInworlTerminaBasedHgDirectory. so, maybe this is time now for devs to build something like metatags, xmlstitemaps.xml and robots.txt files on the grid/standalone side to give birth to crawlers bots for hypergrid ?